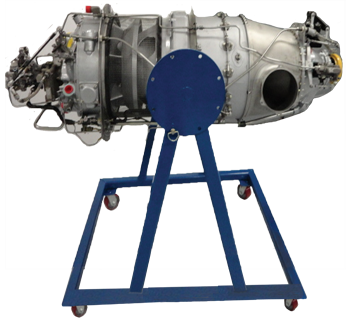 The Model AE-08-PT6A is a PT6A-20 Teardown Engine,mounted on a maintenance stand, and it is supplied with hot section inspection tools. The teardown engine is used for hands-on training for the dis-assembly and re-assembly of engine parts and sections. With the included tools, the students can perform hot section inspection. In conjunction with our Model AE-07-PT6A Engine cutaway, students can gain a thorough familiarization with engine construction and assembly. A computer based training package (CBT) is included which provides a simplified explanation of the PT6A engine with rich graphics and animations.